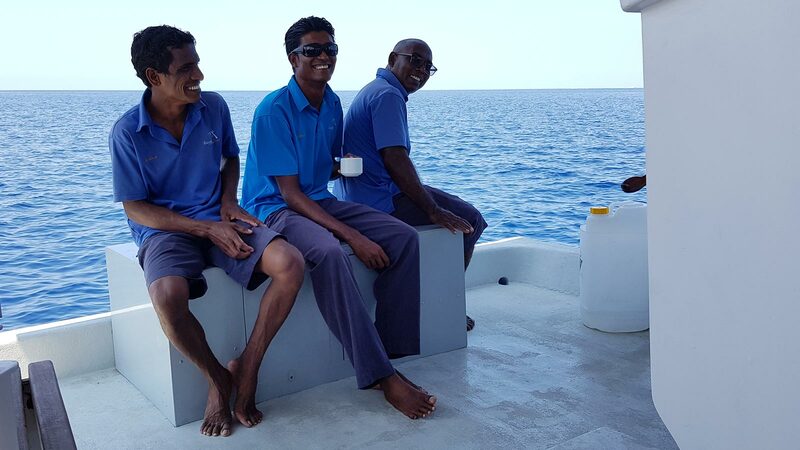 Full of smiles and ready to help, that’s how many of our guests describe our wonderful dhoni crews but, apart from smiling and helping, what does being a dhoni captain or crew member in the Maldives involve? 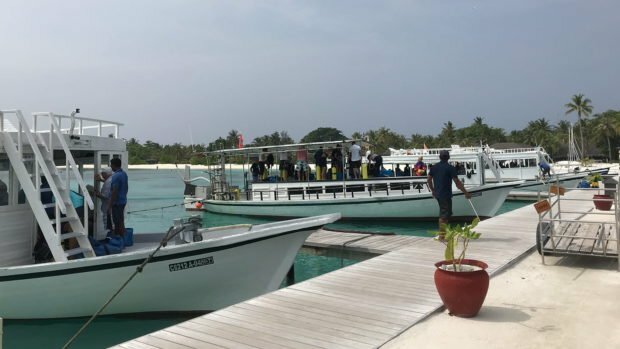 Their day starts with the dhoni safety checklist, checking the guest lists for the boats and loading the tanks onto the dive dhonis; the tea coffee and delicious cake must not be forgotten either! Guests are helped on to the boat and once everything is ready they set off. With over 60 dive sites, the Lhaviyani Atoll has many underwater islands, channels and varied reef structures and the captains do an admirable job in getting everyone to the right place, not just the right reef but to just the right spot, taking into account the currents and ever-changing conditions. When guests are in the water a watchful eye is kept for snorkelers or divers needing to return to the boat and ensure everyone is safely picked up as and when they surface. The crew members can sometimes be found with a snorkel and mask – sometimes for cleaning below the water line but other times for observing what excites the guests – sharks, turtles and mantas. 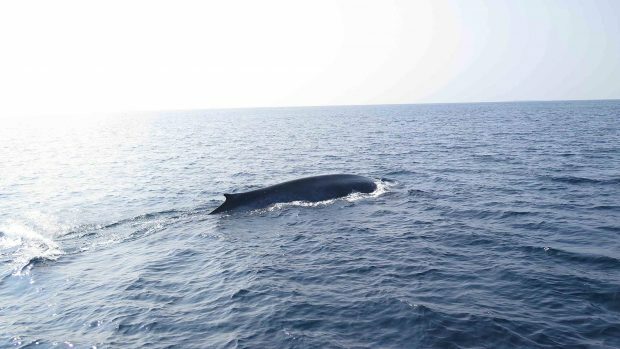 After a dive, they are always interested in how many of these creatures have been seen and how big they were so please do share your experiences with them! A highlight of the boat trip is often spotting dolphins and our crews are experts at this, they whistle, call and tap the boat to encourage the playful pods to play in the bow wave – it’s smiles all around. 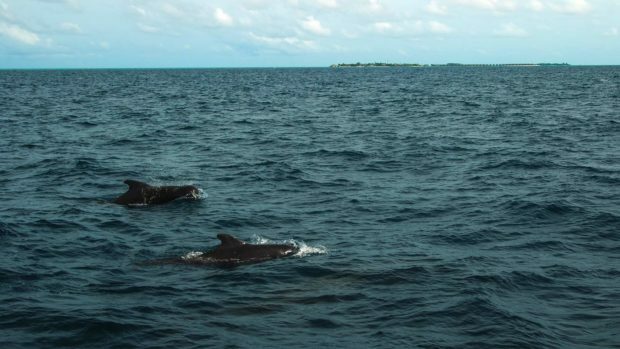 Mantas, and occasionally, whale sharks are spotted by the crews too and the captains are only too happy to oblige for an unplanned snorkel stop when there is something really special to be seen. Coffee and cake are always a welcome treat on the way back to Kuredu, served by the crew who don’t always take ‘no’ for an answer when offering a second piece of delicious cake! Once the guests are safely back at the jetty the tanks are unloaded and reloaded for the next trip of the day. 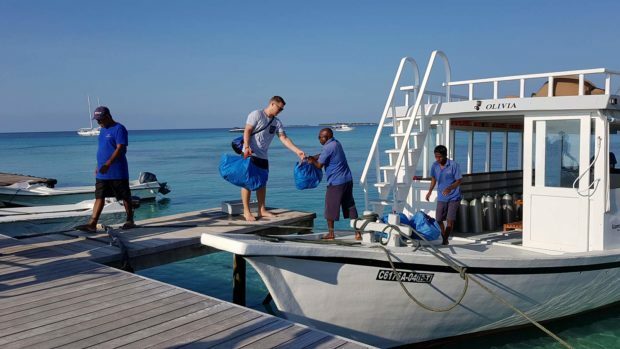 In the evenings they might be taking night divers or night fishing trips out, or even transporting staff to other islands, but after the final trip of the day, it’s time to clean the dhoni. Not surprisingly, when we asked one of the boat captains what he liked to do in his free time, his answer was “sleeping”! 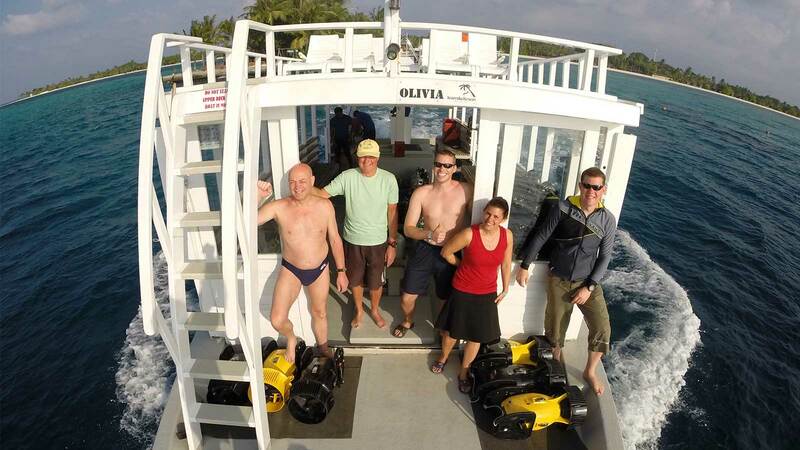 We’re sure you’ll all agree, our dhoni captains and their crews do an amazing job and without them, diving and snorkeling in the Maldives just wouldn’t be the same.